Using a Formyoula select list you can override the user selected values with Salesforce Record Type IDs or other Record IDs for lookup references. 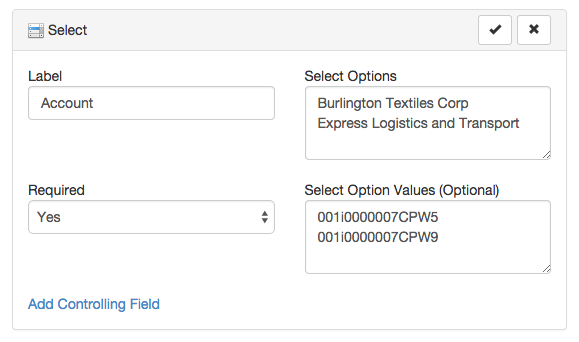 Here are two examples how the select list values can be overridden with Salesforce IDs. 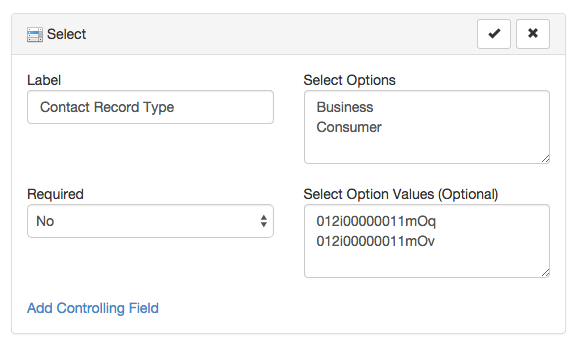 First you need to provide the "Select Options" that will be visible to the user filling in the form and "Select Option Values" that will be used for Salesforce reference. The number of entries on both lists need to match.